Cookie Cafe Welcomes the NEW Washington Parents Association! 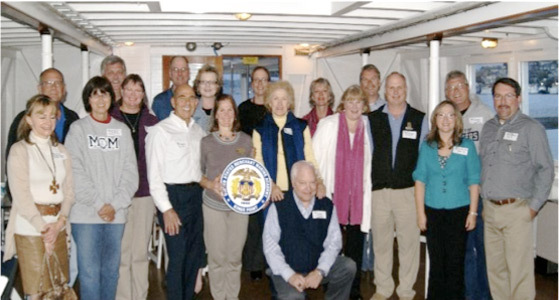 The initial meeting of the USMMA Washington State Parents Association held onboard The Virgina V on Lake Union. From L to R: Ardis Goulart; Mike and Mary Lou Rogers; Eric and Allison Wetzel; holding the USMMA Seal is Janine Ivanelli and Waz Wazallann, Association Co-Presidents; behind them is Diane and Ed Wood: Treasurers; Connie Buhl; shown kneeling in the front row is Bob (’64) and May McEliece; In pink is Deb and Sean Pittman; behind them is Sally and Jon McQuiston: Secretaries, Anita and Dennis Lee; and far right is Gary Hoffman. WA State Midshipmen and Plebes representing USMMA at the All Services Academy Ball. 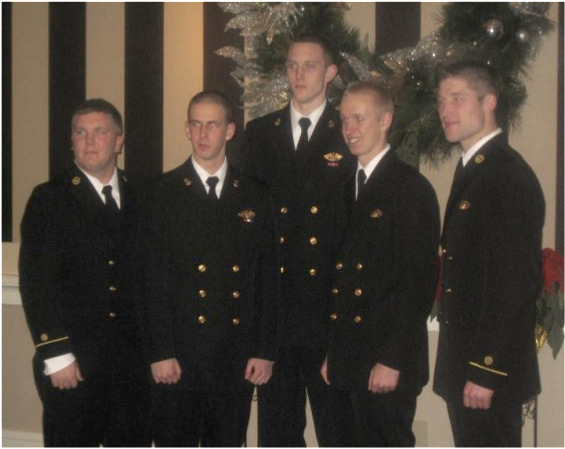 (From l to r:) David Irish (’11), Cody Schwab (’14), Adam Wood (’14), Sean Pittman (’14), and Coletun Frank (’11). On February 3rd, the Midshipmen were in for a REAL treat! 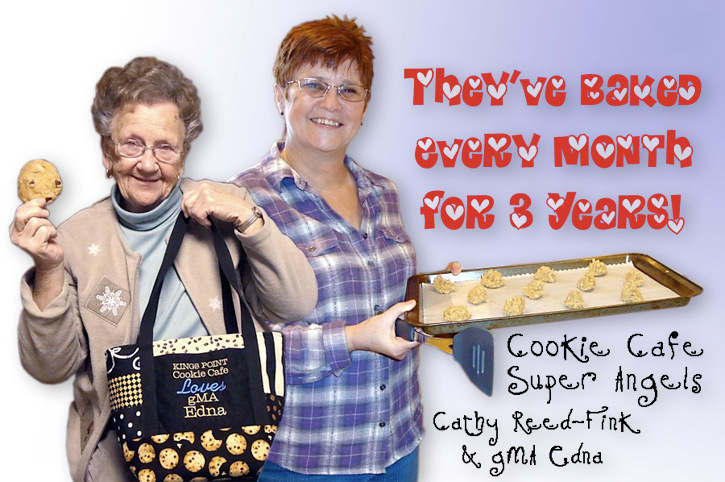 Cathy Reed-Fink and gMA Edna are the KP mom/grandma team who have been baking and sending hundreds of cookies every month for the last three years. If that isn't cool enough, Cathy has now truly outdone herself. 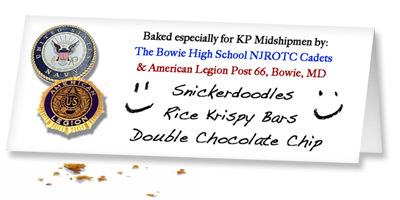 She's coordinated the Bowie High School NJROTC Cadets with the members of the American Legion Post # 66 in Bowie, MD to sponsor Cookie Cafe. Together the whole gang will spend the day baking 300 dozen cookies in the American Legion Hall kitchen. Then they will all package and box up the cookies to ship to KP for the big day. Talk about a win-win situation - not to mention a fun day! The Veterans are just thrilled with anticipation to work with the Cadets, and are funding ingredients and shipping costs. The Cadets get to work side-by-side with esteemed military mentors and earn community service hours. And of course, the KP Mids can look forward to a very tasty effort of combined generosity. Thank you, Cathy, for your imagination, organization and act of kindness. Look for photos and a write-up of the day on our Cafe Stories Page.